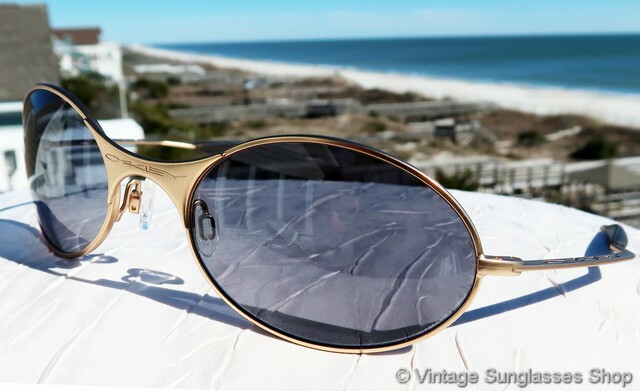 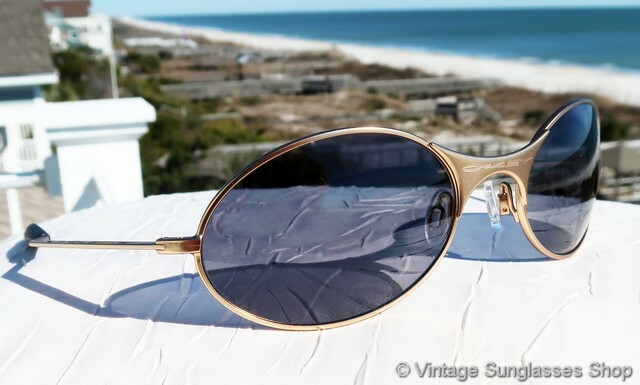 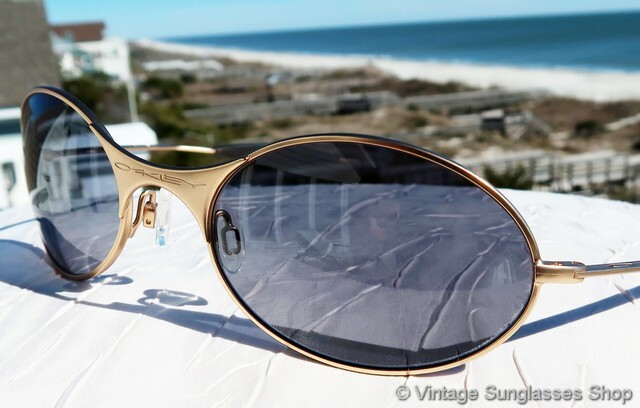 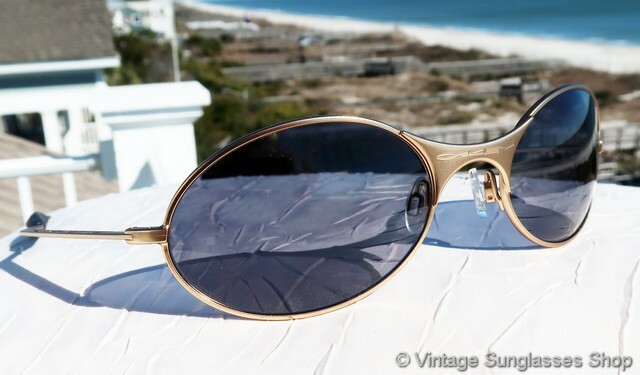 1 Vintage Oakley E Wire first generation sunglasses feature a gold plated E-Wire frame coupled with Oakley Black Iridium lenses, a lower production variation of the iconic first generation Oakley E-Wire sunglasses. 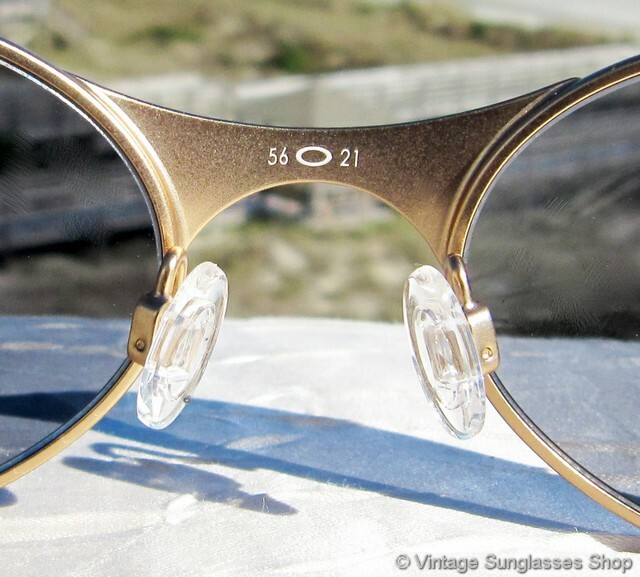 The sleek and elegant Black Iridium lenses look great with the matte gold frame, and you'll love the unique zigzag ear stem design of the first generation E-Wire and both impressed with the Oakley logo. 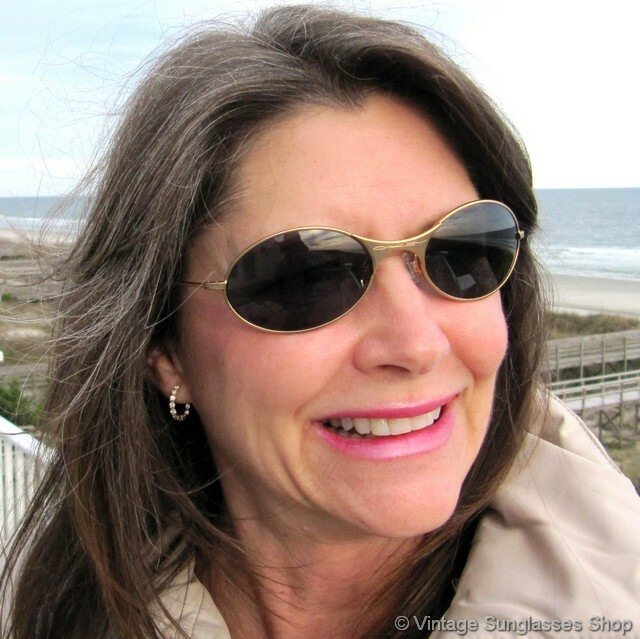 The unisex Oakley E Wire frame measures approximately 5.25" temple to temple, and the Black Iridum lenses measure approximately 2.25" x 1.375" at the widest points. 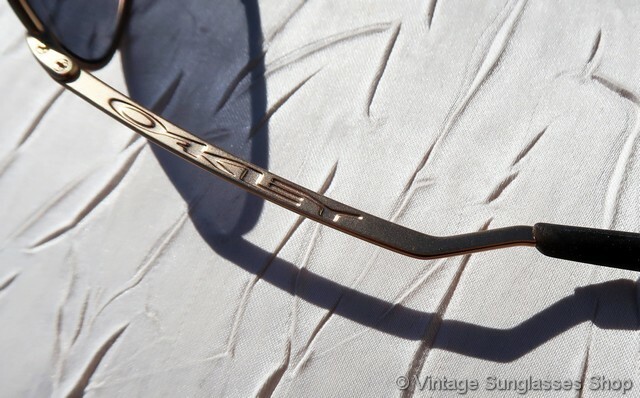 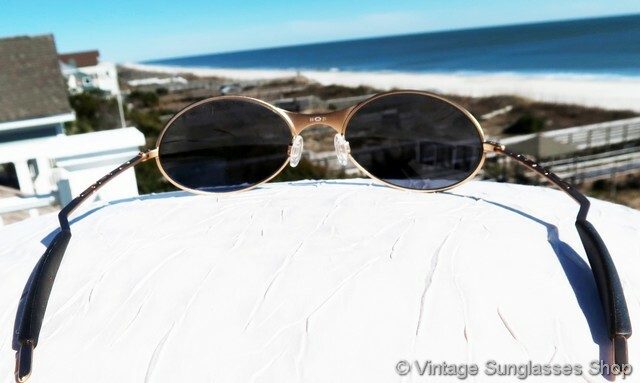 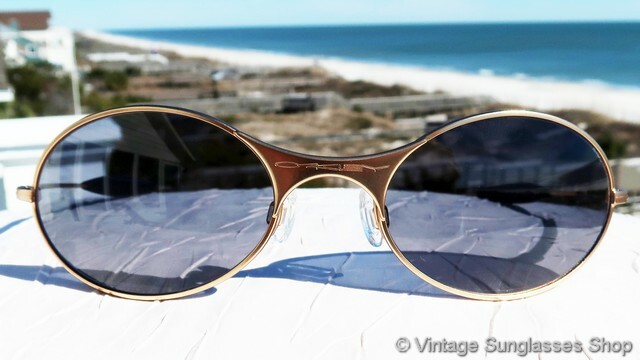 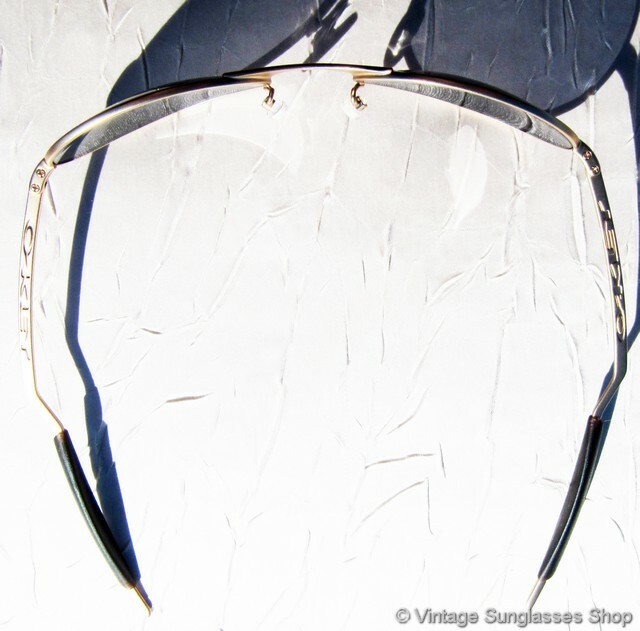 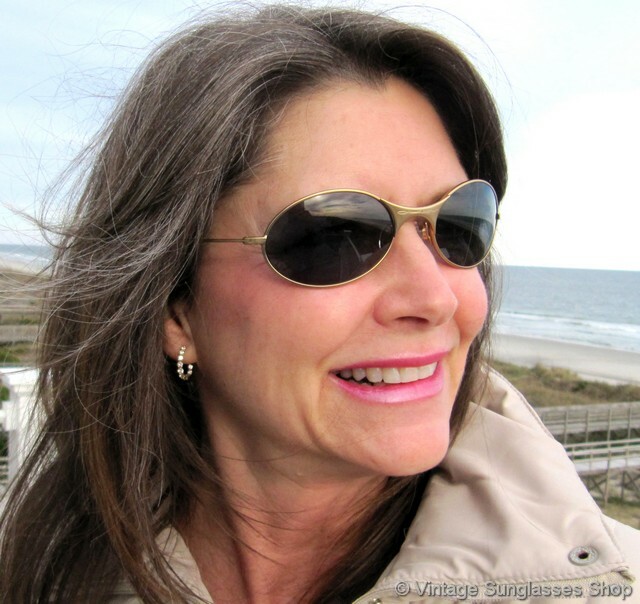 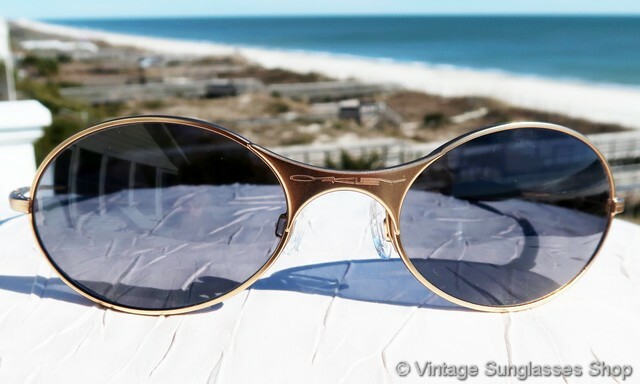 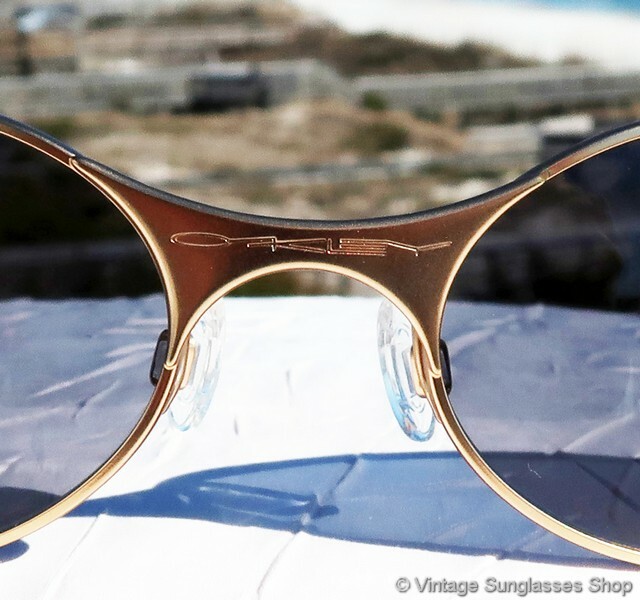 You'll find the Oakley logo impressed on the center of the nose bridge, part of a great collection of vintage Oakleys from a major European Oakley collector and long time customer of the Vintage Sunglasses Shop. 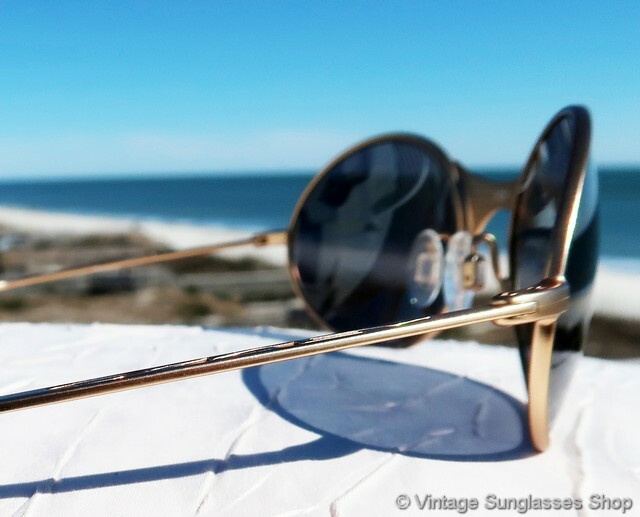 2 Step up another level beyond our already unequaled vintage condition standards with new old stock Oakley E Wire first generation sunglasses in mint, unworn condition.